In the past condo sales and values lagged a bit behind single family homes – not anymore. Eastside condo sales have accelerated in recent months with record attendance at open houses, shorter market time (less than 10 days), multiple offers and sales prices averaging 5% over list prices. The number of available resale condos downtown is at an all time low. Since the first of the year 59 condos have sold (an average of 20 per month). With just 20 resale condos currently listed for sale, that’s just a one month supply to choose from. There are 20 pending condo sales, so you can easily see the available inventory is being gobbled up as soon as it comes on the market. 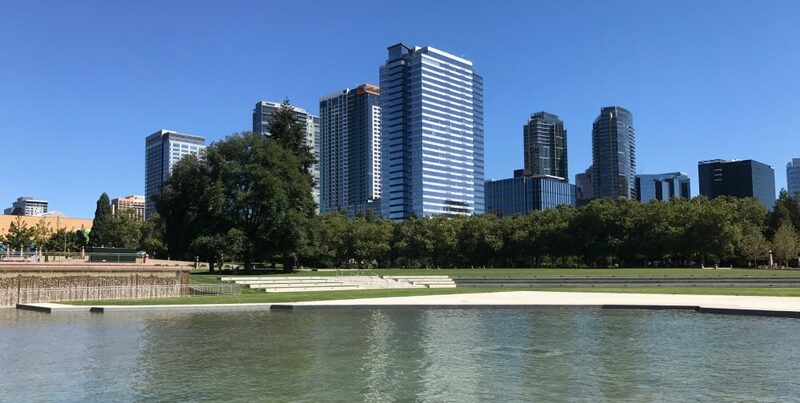 Downtown Kirkland is no different – since January 1st 54 condos have sold and there are currently only 21 active listings, or a 1.1 month supply of inventory, but with 37 pending sales, those 21 active listings clearly won’t satisfy buyer demand. With the continued hiring pace at Google, new companies moving into the office space at Kirkland Urban in the next 18 months, plus the new retail and dining experience Kirkland Urban will offer, there are a lot of reasons for wanting to be in Kirkland. If you’re a seller, you’re in the driver’s seat, but you need to be ready to move quickly and have your rental or new purchase lined up for quick occupancy. Investors should seriously think about selling in this market to maximize their return on investment. Buyers . . . there are a lot of cash offers out there, but they don’t always offer the best price or the best terms for sellers. Get your financing together, listen to your Realtor® (if you don’t have a Realtor®, find a good one), be flexible, realistic, creative and patient. Prices aren’t going to go any lower and with 1,000 people a week moving into the Puget Sound region, demand will continue. Now is the time to get your foot in the door of home ownership, move-up for more space or a view or downsize to a lower maintenance lifestyle. Its not a secret anymore . . . this is a great place to live. Loan limits for mortgage loans backed by Fannie Mae and Freddie Mac will increase next year for the first time in ten years. In recognition of rising home prices nationwide, the loan limit for a conforming loan (not a jumbo loan) will increase from $417,000 to $424,100. For areas like the Seattle/Bellevue metropolitan area, which have a more expensive housing market, loan limits are much higher. In King, Pierce and Snohomish counties conforming loan limits will increase from $540,500 to $592,250 next year. What does this mean if you’re planning to purchase a home in 2017? Jumbo mortgage loans (over the new limit of $592,250) generally have higher interest rates, require higher credit scores and larger down payments of 15-20%. These steep requirements can keep many highly qualified home buyers out of the market – buyers who have the income and employment history to qualify for a loan but don’t have a 20% down payment. When the conforming loan limit is raised, it opens the door giving qualified buyers with 3%, 5% or 10% down an opportunity to get in the game. If you haven’t talked with a lender or Realtor® lately, now would be the time to start that conversation to see how the increase in loan limits could benefit you. Eastside condo prices have continued to increase this year, headed toward another 10-12% in appreciation by the end of the year. While a record breaking $13.9 million dollar condo just came on the market at Bellevue Towers, not all condo prices are sky high. 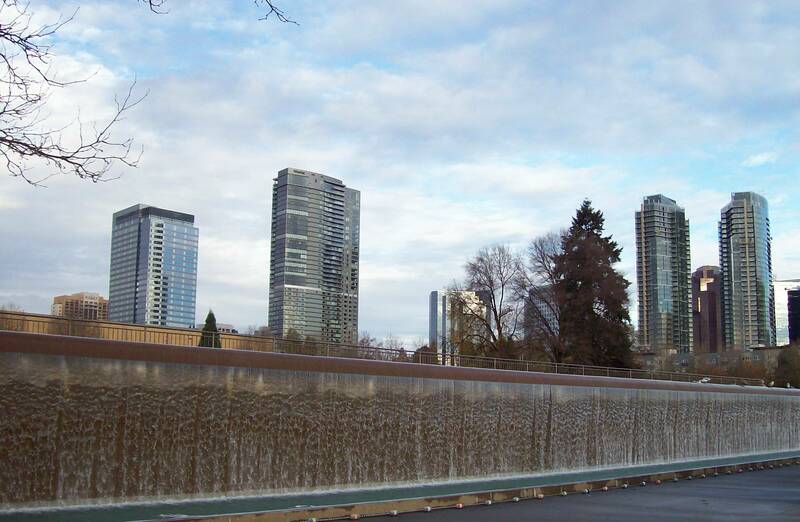 There are opportunities to find affordable digs in downtown Bellevue. Within the central business district there are currently ten condos priced under $500,000 and if you step just a few blocks outside the CBD another half dozen or so condos priced under half a million dollars are on the market. The local real estate market typically slows during the month of August and through the Labor Day holiday weekend. If you’re in the market to buy a condo downtown, be patient, there should be more homes to choose from in the coming weeks. If you’re getting ready to sell, now is the time to get your home in ready-to-show condition and take advantage of what promises to be an active fall market. During the same period in 2015, 131 condos sold with sale prices ranging from $212,000 to $2,035,000, a median sale price of $550,000. Sales data for the first half of the year reflects a 9% increase in median sales prices this year over 2015. Local real estate activity tends to be sluggish in August – great weather is predictable, its peak vacation time, parents are busy getting children ready for school or off to college. With interest rates expected to remain low through the end of the year, and with limited available inventory, the fall market should present opportunities for buyers and sellers. Baby cams, or nanny cams, are often used in homes to help parents keep track of their children while they’re in another part of the home, away from the house or even keep an eye on pets while at work. When listing your home for sale, what’s the protocol for disclosing that there is a baby cam or other surveillance device in your home? There is generally an accepted expectation of privacy when visiting someone’s home, whether it be a friend, relative or while touring a home listed for sale. The best decision, as a seller, is to disclose that there is a surveillance device in the home and that buyers and their brokers could be recorded on a baby cam or other type of device. Privacy laws differ state-to-state, so to avoid any possible legal claims, its best to have a conversation with your listing broker before listing your home for sale about the best way to disclose the presence of any video device so that buyers and brokers entering the home are aware of the possibility they will be recorded. There is a common misconception, by first time home buyers and seasoned homeowners, that a 10% or 20% down payment is needed to purchase a home. There are excellent loan programs available that allow borrowers to obtain a mortgage with as little as 3% down and Fannie Mae guidelines have recently been updated to make home ownership more available and affordable. Fannie Mae is working to provide education for borrowers, expand access to credit and promote credit responsibility and successful homeownership. If you’ve been on the fence about buying a home, talk with your Realtor® or lender for more information about the Fannie Mae HomeReady® program.